Supported by BNP Paribas and the BNP Paribas Foundation, and organised by Taipei Ricci Institute, The Creative Development Project is an interactive programme introducing basics of music and arts to left behind children in Qingshen, Sichuan province. Workshops on art, music and dance are organized in 3 different schools for 230 students. By end of 2015, around 252 workshops will be rolled out and each will last for 2 hours. More importantly, there will be one open performance and two arts exhibitions at school to which the families and friends of the left behind children will be invited to acknowledge their efforts and diligence. The Creative Development Project is part of the Dream Up Programme, a global education project managed by the BNP Paribas Foundation. This corporate philanthropy programme encourages the integration of socially excluded young people through arts practice. It is currently running in 26 countries on 5 continents and benefiting 30,000 children and young people each year. 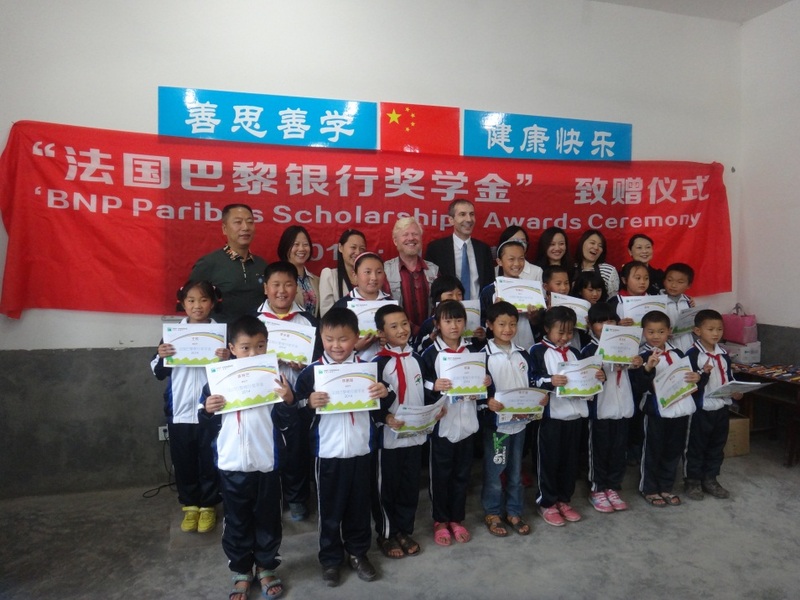 In partnership with Taipei Ricci Institution, BNP Paribas China launched “BNP Paribas Scholarship” programme in 2014 to offer one-year’s scholarships to the “left-behind children” in Qingshen Sichuan in support of their school fees and living expenses. In China, the “left-behind children” or “liushou children” refers to children (less than 18 years of age) who need to be looked after by other relatives, friends or by themselves because both of their parents work as migrant workers or merchants, etc. outside their hometown. Due to the increasing number of these children and the related social problems,they have captured much attention from the government, non-profit organisations as well as the media. 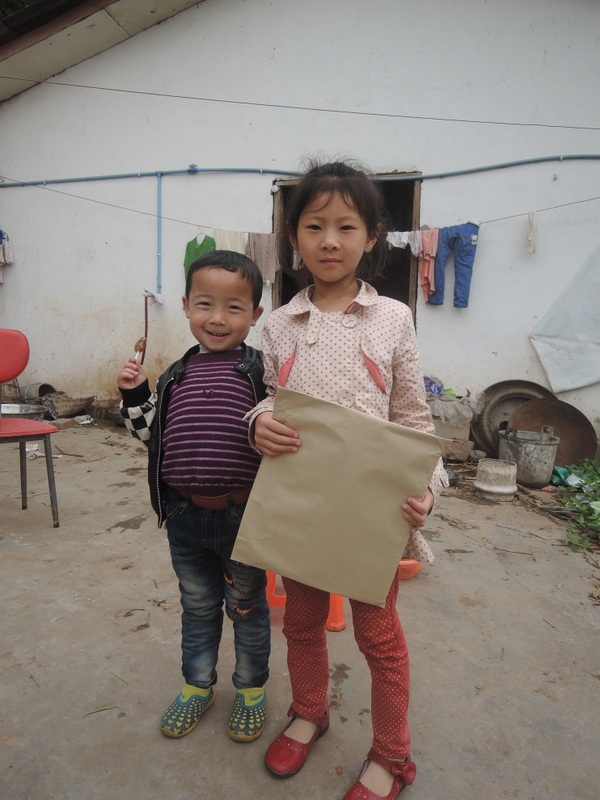 Followed by the home visits by our staff in Qingshen County in May 2014, we found the situations of these children are even worse than we thought.Some of these children’s parents can only visit home once or even twice a year. Their families are facing severe financial challenges because of parents’ divorce, disease or accident. But these children are really eager to go to school no matter what difficulties they meet. Therefore, we have decided to grant the “BNP Paribas Scholarship” to 66 children at 6 local elementary schools. Apart from the scholarship, an internal donation was initiated in the Shanghai and Beijing offices. We have encouraged our staff to donate books, stationeries and cash (for book purchase) to the children. The “BNP Paribas Scholarship” awards ceremony was held in Qingshen, Sichuan Province in 13 June 2014. Laurent Couraudon, Country Head of BNP Paribas China presented the students with the scholarship and encouraged them to take this opportunity to study harder and achieve better result.The donated books and stationeries by our staff were also passed to the children during the ceremony. Fighting against all forms of discrimination through economic development and local relationships lies at the heart of BNP Paribas’ philanthropic initiatives. In BNP Paribas, this is demonstrated by providing support to community programmes as well as emergency measures to victims of natural disasters. Besides corporate contributions, BNP Paribas China also mobilises its staff in a range of voluntary and fund-raising programmes. In the future, it will also explore the possibility in supporting the solidarity initiatives undertaken by its employees.